Completed, which is based in San Francisco, is the first verified peer review platform to cover all professionals in every industry. Its mission is to create the most comprehensive profile of an individual on the internet. A Completed profile will show the full person including constructive feedback that identifies their strengths and weaknesses, helping people improve themselves while at the same time opening the door to opportunities for other people to engage with them in a positive manner. In the same way that Yelp! users review businesses, Completed.com allows users to rate and review every professional – from a waiter to Fortune 500 CEO – anonymously or using a verified identity. Completed’s easy-to-use 5-star ratings and reviews, which are verified by the company’s proprietary algorithm, can help professionals identify areas of weakness to improve their work and provide employers an unadulterated profile of a candidate to enable them to hire with confidence. With the advent of search engines and social media, there is now more than ever an overwhelming abundance of information on the internet about people. Companies, when doing their due diligence, have to spend countless hours researching people to find out information about them. What if there was a website where people went to first where companies could find all of a person’s social media, bio, feedback, and more? What if that site empowered the individual to showcase their talents to the world, increasing their odds of landing a new career or getting picked for a special event. 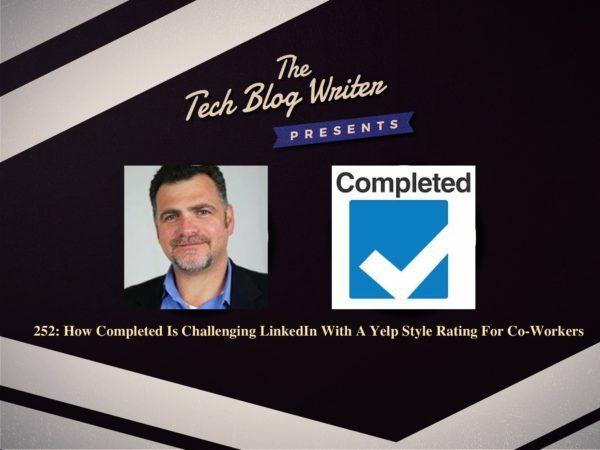 Yelp doesn’t identify employees, LinkedIn doesn’t identify weakness, one-off professional reviews sites, like RateMD.com, omit most industries, and professional complaint boards, like RipoffReport.com, are not trusted – Michael Zammuto. “The current professional review landscape is broken, and there is a clear need for a central information source and a trusted review system that provides accurate ratings for all professional in every industry. I invited Michael Zammuto, CEO of San Francisco-based Completed onto the show to find out more.